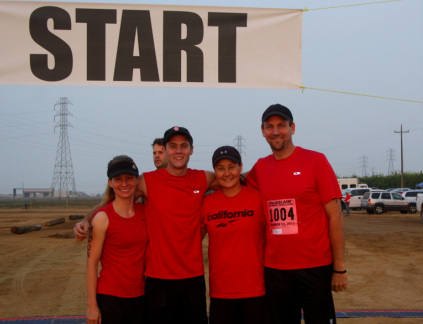 Volkslauf is a Marine mud run held in Bakersfield, CA. We had a team of four which were myself, Seth Kramer, Gretchen Wood and Connie Hernstedt. We ran the 10k version of the race and our final time was 1:16:59. We could have been faster but we had to wait in line for several of the obstacles. Overall we had a blast and we gave Seth quite a workout when he helped to boost us over several of the obstacles. The kids also got to do a little mini-Volkslauf!